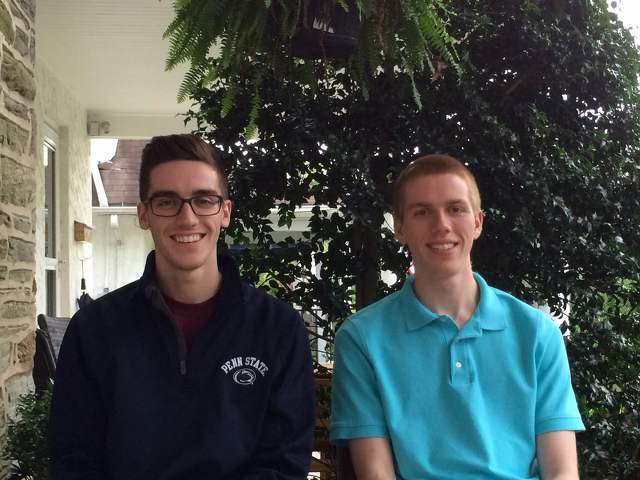 Walking around Penn State University Park is not the easiest thing to do for any student. There are hundreds of people around you at any time, and the sheer number of buildings make it easy for anyone to get lost. Now try navigating through this crazy maze when you’re visually impaired. Madeline Garber, a recent graduate from Lower Merion High School, will be attending Muhlenberg College in the fall, but was on campus at Universty Park on Thursday afternoon to test out two new pieces of technology to benefit the visually impaired. As Garber gets ready for college, she says that she is not concerned about finding her way around campus. She has friends who will help her if she gets disoriented, but doesn't want to rely on others for her independence. That's where these two new pieces of innovate tech come into play: the iBeacon and Blind Square. 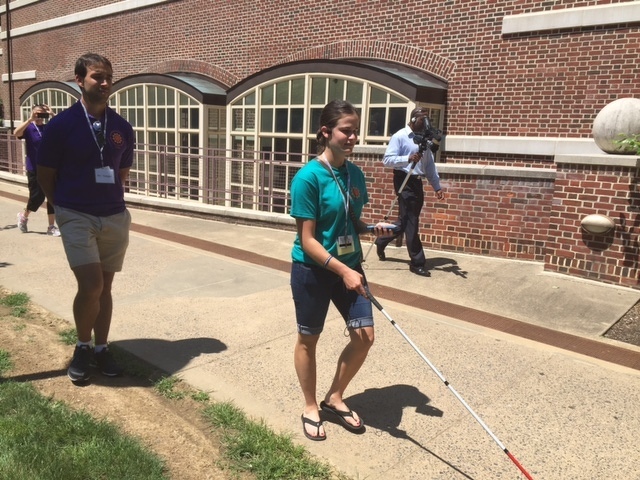 Garber was on campus for the The Summer Academy for Students who are blind or visually impaired, which was was back for the second year to test out this new technology in State College. The academy teamed up with Penn State’s College of Education and the College of Health and Human Development to make this test happen. The Blind Square is specifically designed to work outdoors, but with other GPS’s you have to be outside. The test had Garber walk from Atherton Hall to Pollock Dining Commons. During the walk to the Pollock Commons, Blind Square would tell Garber about the buildings she’s near, what direction she has to go, how far she has left till her destination and other physical surroundings. As Garber weaved her way through a busy crowd with the help of Blind Square, she successfully made it to the Pollock Dinning Commons where the iBeacon kicked in. For example, as Garber approached the double doors at the entrance, the beacon told Garber to go through the double doors and follow the stairs to your left. The test was very successful as first time user Garber was able to navigate both outdoors and indoors with no problem.